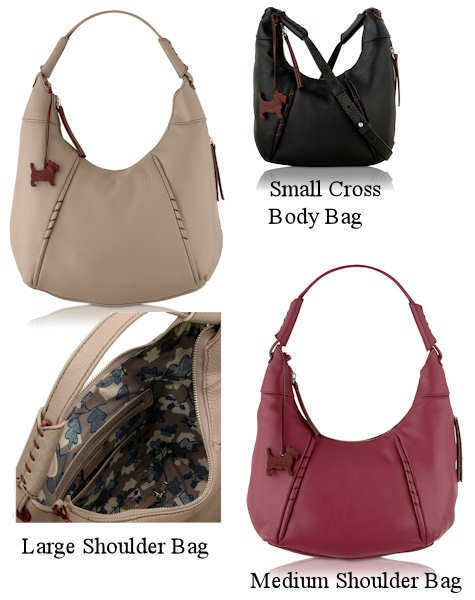 All the bags are available in three colours – kangaroo, which is a light grey, black and berry. 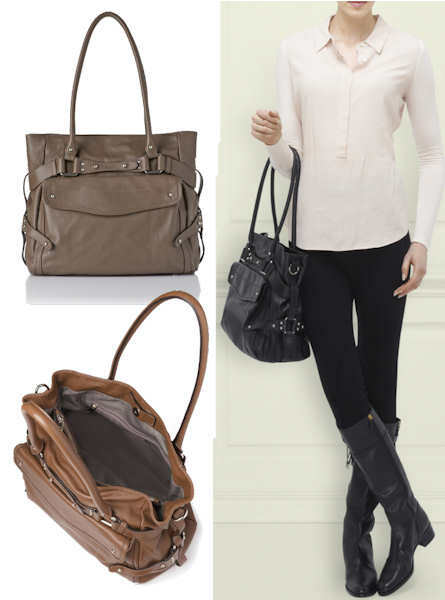 The two shoulder bags have a single hobo style shoulder strap and are a scoop shape. All the bags have a top zip fastening and a leather Radley Scottie dog hang tag. Indie, the bags have a lively floral lining. 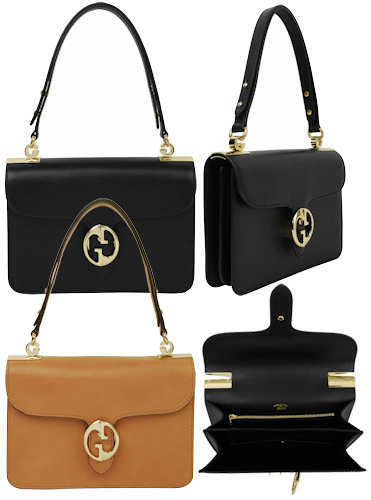 The shoulder bags have one zip and one open pocket, the cross body bag has a single zip pocket. The bags are embellished with stitch detail to the seams at the front. 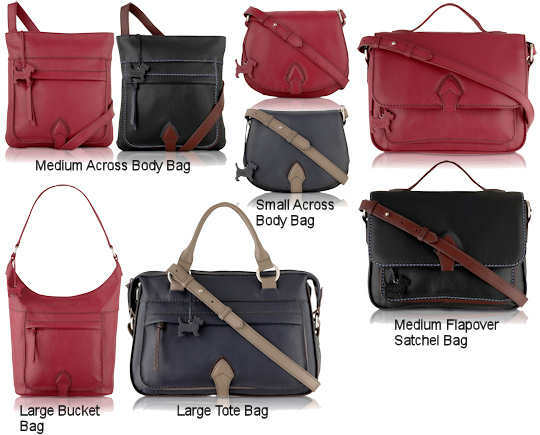 It is self coloured for all the bags, except for the kangaroo grey, which has contrast berry stitching and a contrast berry Radley hangtag. Measurements: 34cm x 24cm; the length of the strap from the top of the bag to the apex is 29cm. 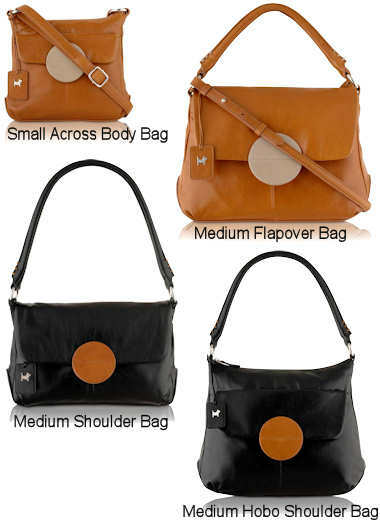 Measurements: 30cm x 16cm x 8cm; the length of the strap from the top of the bag to the apex is 28cm. 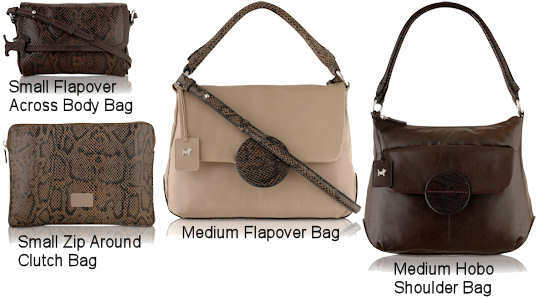 Measurements: 25cm x 16cm x 6cm; the length of the strap from the top of the bag to the apex is 60cm. The Jimmy Choo Rosabel Bag is a satchel shaped bag made from grained calfskin leather. 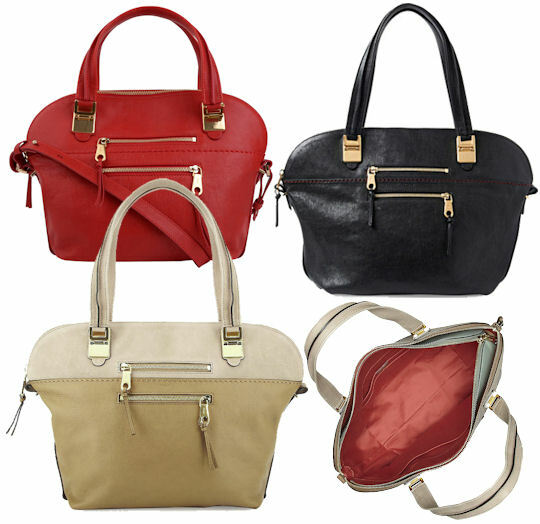 The bag has two rolled leather top handles and goldtone metal hardware throughout. It features a slimline buckled strap which loops through eyelets near the top of the bag, and has a shiny branded plaque on the front, which doubles as a clasp for the flapover strap. Inside, the bag is fully lined in suede and leather and there is one zip and two slip pockets. There are protective feet on the base of the bag. 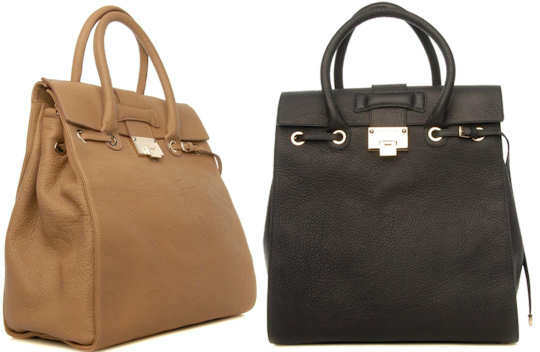 This bag is very much a favourite of celebrities and has been seen carried by Jessica Biel, Jessica Alba, Jennifer Hudson, Katie Holmes, Rachel McAdams and many more A listers. It is unusual for a bag of this caliber to be reduced, so grab one while you can and you too can join the jet set.